He ran communications for the group for the past seven years. 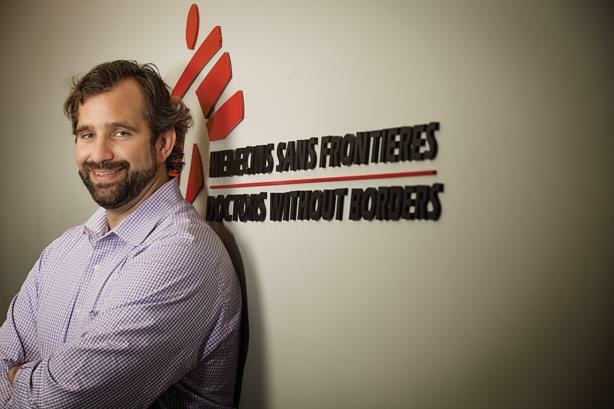 NEW YORK: Doctors Without Borders has named Jason Cone as its US executive director, taking overall responsibility for its operations here after previously leading comms. In the nearly seven years Cone served as the organization’s communications director, he led its comms team through events such as the Ebola epidemic in West Africa last year and the 2010 Haiti earthquake. He was also the executive producer on a documentary series that received an Emmy nomination, according to his LinkedIn profile. Sophie Delaunay was the organization’s previous executive director in the US, spending more than two decades with the group. It was not immediately clear what Delaunay’s next position will be. Cone joined Doctors Without Borders in 2004 as managing editor and was promoted to communications director in 2008. Before Doctors Without Borders, he worked at the Center for Reproductive Rights, where he was a writer and an editor, and was UN correspondent and online editor for The Earth Times.